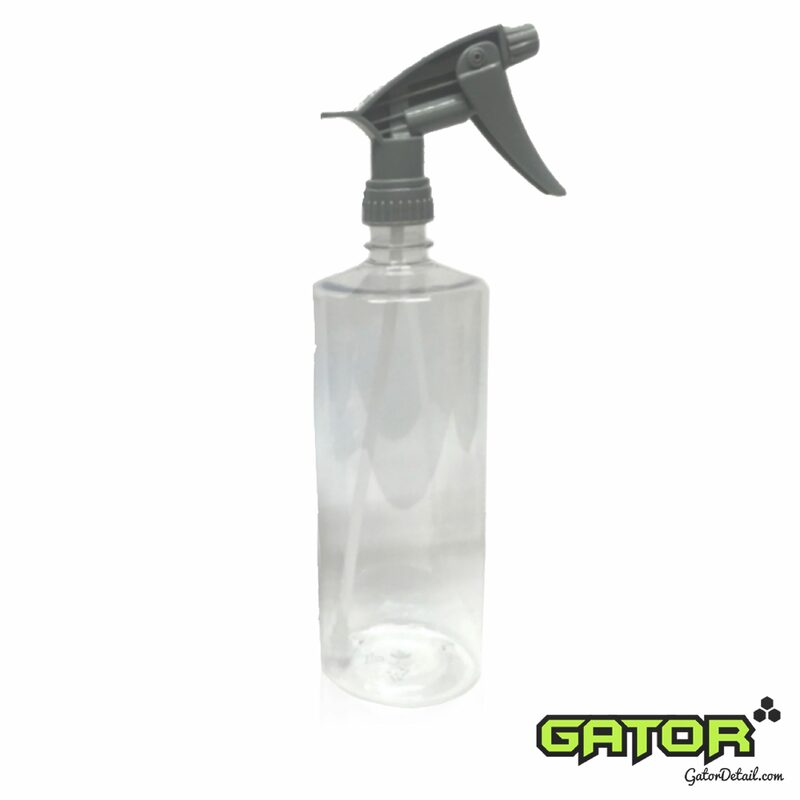 Gator offers a Professional Size 1-Liter (34oz) Clear Plastic Bottle & our most popular Adjustable Chemical Resistant Super-Mist Trigger Sprayer with a Viton Seal. The High Volume Option is perfect for Detailers who work all day, turning out high volume. Why waste time refilling when you’ve got work to do.